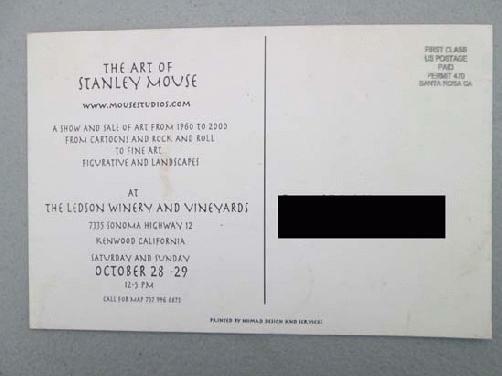 Original postcard for The Art of Stanley Mouse at The Ledson Winery and Vineyards in Kenwood, CA in 2000. 4 x 6 inches. There is no black box on the backside of the postcard. 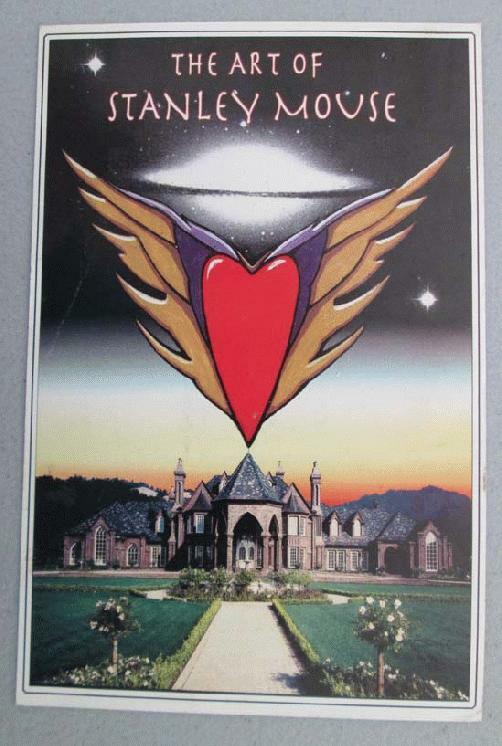 The mailing address it was originally shipped to has been blocked to protect the innocent.